Sometimes, you just want to stand out in your medieval attire. If that is the case, than little can compare with this 14th C. Two-Toned Tunic, which offers a duality of color alongside a classic shirt design from the medieval era. The earthy look of the Adelard Norman Tunic evokes eras past and tales of daring. 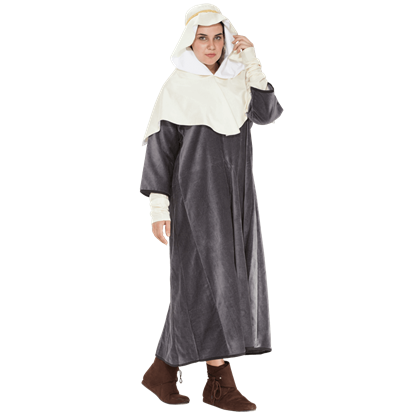 Made of an olive green suede material, this medieval style tunic is perfect for reenactment events, Renaissance fairs, and theatrical performances. In Norse mythology, Aegir was an ocean-dwelling Jotunn bon-vivant who often held parties for the entire Norse pantheon. 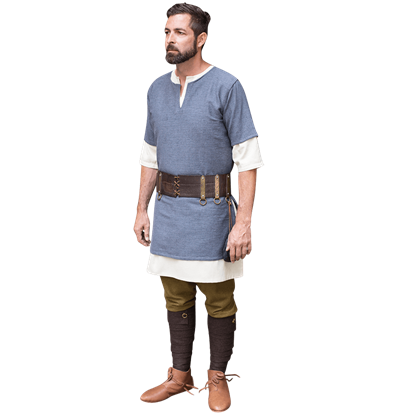 The Aegir Viking Tunic gives you the style and comfort to enjoy yourself at even the most boisterous gathering. 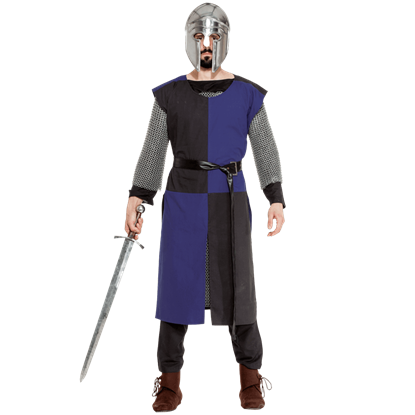 So named for the ancient king of the Anglo-Saxons, the Aethelstan Saxon Tunic is a finely crafted staple for reenactment wardrobes. 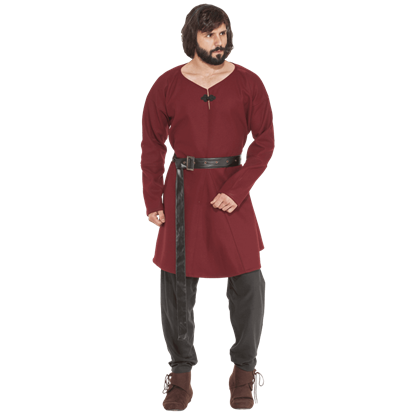 Made of a wool blend material, this dark red mens tunic is long sleeved and warm for cooler climates. Step into warm elegance when you wear the Ailith Saxon Tunic. 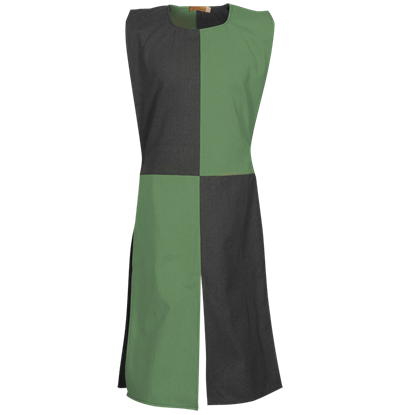 This womens ankle length tunic is made of plush, luxurious cotton velvet in a gray color. Comfortably roomy and easy to layer, this overdress is ideal for cool weather. Become a regal maiden of the court when you wear the Appoline Medieval Tunic. This womens historical reenactment tunic features gorgeous panels of red accented with golden fleurs along its neckline, sleeve cuffs, and bottom hem. 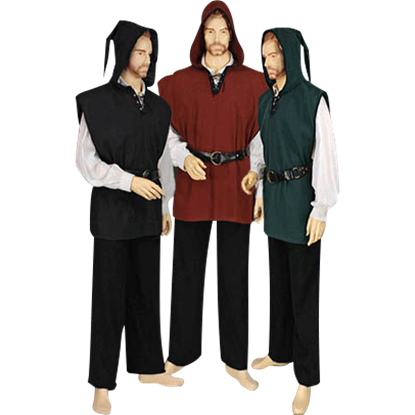 The Archers Hooded Tunic is a simple yet effective tunic that has the added benefit of coming with a hood. 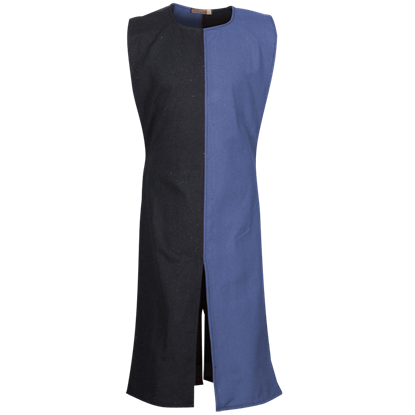 This tunic is a great addition to any wardrobe and can be worn alone or with countless other garments to create dozens of looks. 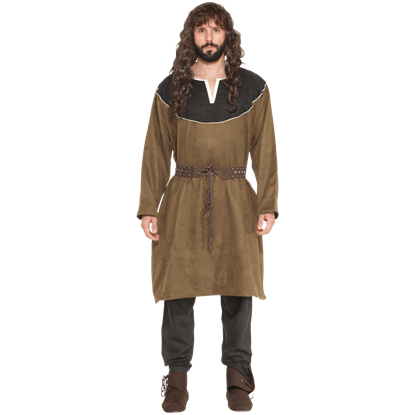 The Lord of Huntingdon Over Tunic can be worn alone or with any under garment. 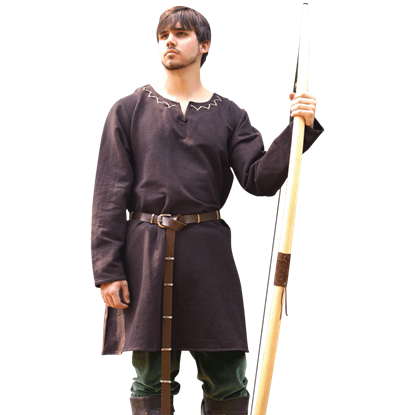 It is shown here with our Huntingdon Brown Under Tunic. 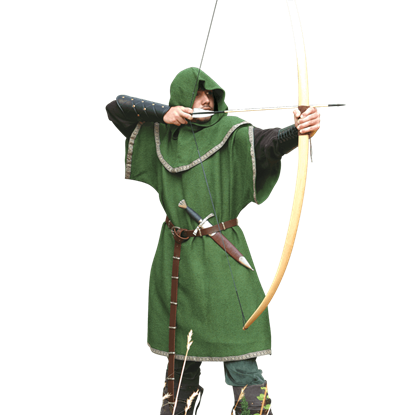 The archers sleeves fall open when your arm is raised, while the full hood allows for anonymity. 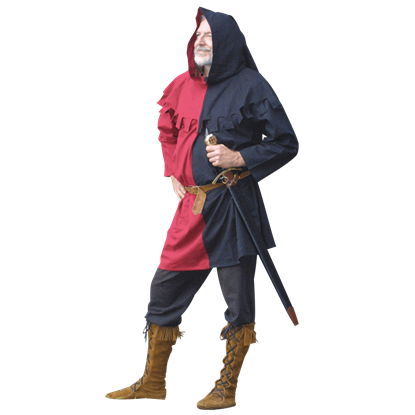 The Lord of Huntingdon Under Tunic is a great piece of medieval clothing suitable for feast or everyday wear. When paired with the green over tunic (#100986), the two make for an adventurous and appealing combination.